Looking for something fun to do with the fam this December? Sure you are, because #momlife is a real thing. 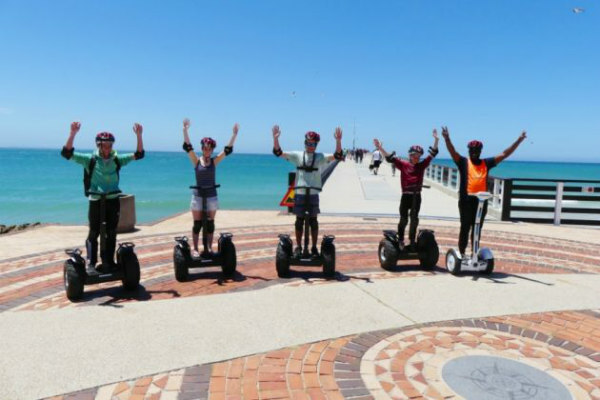 Well, Nelson Mandela Bay Tourism has heard your silent pleas for help and welcomes the addition of WildX Adventure Segway Beachfront Tours and Black Impala Tshisa Nyama to the growing array of activities on offer this summer holiday season. And while we’re talking about food (Oh, we arent? Must be my stomach talking then), you guys should totally check out the modern and stylish tsisha nyama, called Black Impala, in Deal Party. For those who don’t know, a traditional township tsisha nyama is basically a butchery, that also has a braai/restaurant styled facility, that prepares your meat for you. Black Impala brings a much needed dose of hip and happening, to the bay, with the very best cultural cuisine on offer. This barbecue restro bar and venue focuses on Afro foods (braai meats, salads, stews etc) at affordable prices. For more information, check out their Facebook page. To explore these and other offerings of Nelson Mandela Bay visit the tourism website or enquire about the Nelson Mandela Bay Pass which is your access card to free and discounted entry to a variety of attractions and activities.